Travel with children – When you become a father, many things change in your life, and the way you travel is one of them. We tend to think that families with children do not travel very far, and if they do, it is by far, in no case by plane. But it is not like that, this is an outdated and outdated thought, like believing that a child in a public transport will be a nuisance for many. The globalized world, mixed couples, cheap flights and above all the desire to share the pleasure of traveling with your family leads us to affirm that families do move, and mostly by plane. Why do you choose this medium? Very simple, because it is the fastest and most fleeting way to go to visit, normally, on a weekend, to grandparents and relatives who live in another province or country. But unfortunately, the plane is still the most expensive and the most uncomfortable transportation for any family. But raise your hand when your pocket hurts when you pay the same ticket price for an adult as for a 3-year-old child. Or when landing his family are the last to get off because nobody has let them pass and is that entering the first sitting in the last row does not imply a preferential landing. Here we pick up some of the airlines that best treat this potential and faithful client, who when he feels safe repeats insurance. 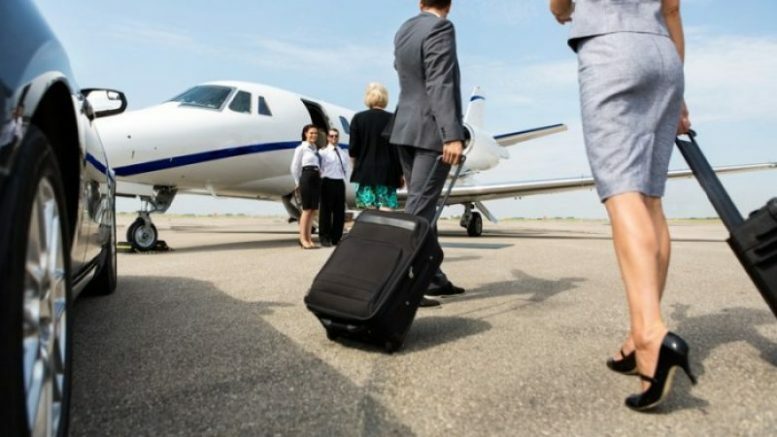 We will be focusing analyzing the price of the ticket and the luggage that the child can carry both babies (less than 2 years old) and children, boarding and boarding, and flight and other advantages. Families have preferential boarding, stroller, and the possibility of the cradle that must be pre-reserved. At the time of sitting there are no preferred seats for families. With the normal Low Fare fare, if you want to reserve a seat, you have to pay between $ 9 and $ 19 per person and flight and $ 35 for international flights. 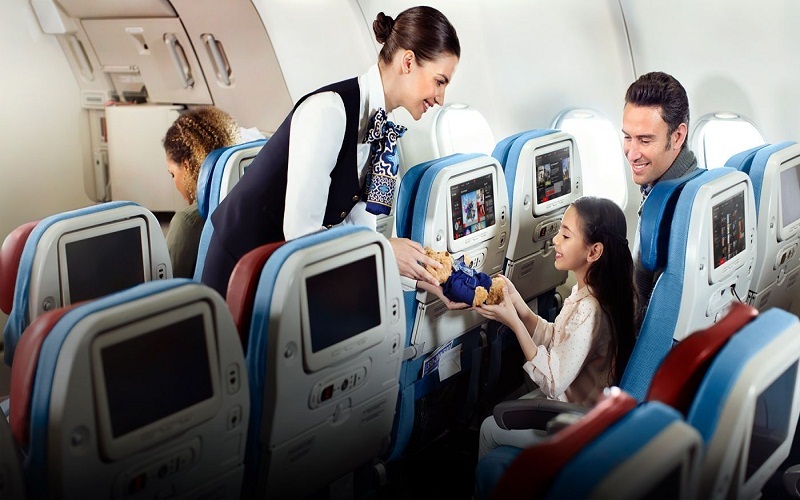 Air Europe is one of the most traditional airlines in its offer of advantages for families. Here children under 2 years of age, even if they do not occupy a seat, have to pay 10% of the total fare on both domestic and international flights. They can check up to 10 kilograms and as carry-on baggage they are entitled to carry one of the following items: a basket for transporting the baby or a car seat for babies (as long as they respect the maximum dimensions allowed in the cabin, if you do not have to pass to the plane’s hold). For children between 2 and 12 years of age, Air Europe also offers the application of a discount at certain rates, which ranges between 10% and 33%. They can check in and board the same luggage as the rate of their ticket allows. Families only have billing and boarding priority if they need assistance or travel in business class. The company only offers families the possibility to be more comfortable if they reserve their seat at an additional price of four dollars per trip. 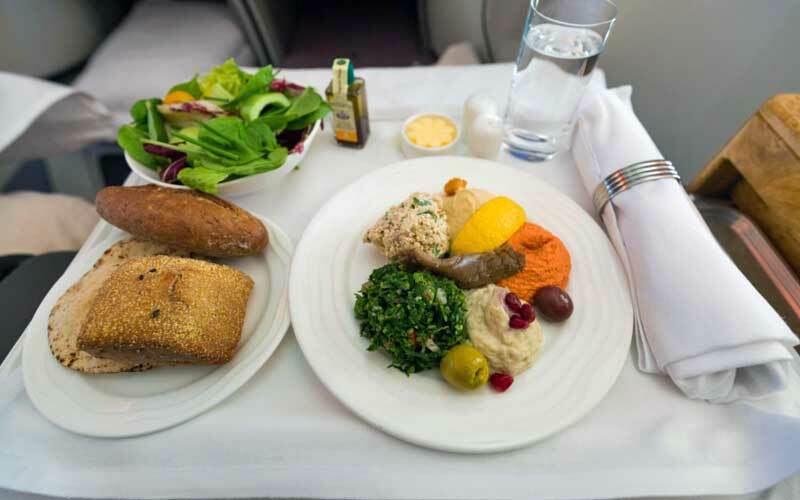 On flights where food is offered, there are children’s menus, adapted to the taste and nutritional needs of children. For example, a pizza in the form of a funny character, a chocolate hedgehog or candy shaped animals. 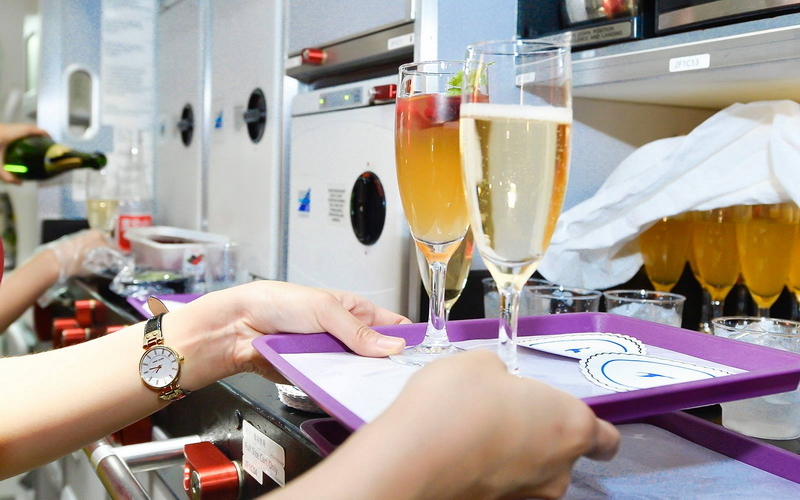 Air Europe has changers on all long-haul flights and some short and medium haul flights. On international flights, there are two cots per plane. And children have various entertainments such as coloring material, movies and games appropriate to their age and constantly updated. Within its website, there is no specific section of families, only “minor passengers”. easy Jet is one of the oldest airlines with low prices and really affordable prices for families. However, babies pay € 28, a fixed fee per flight. And from 2 years old, children buy a ticket just like their parents, sometimes with a percentage discount. As with all low-cost airlines, if you want to check in your suitcase you have to pay a separate amount. But for each baby or child under the age of 5, you can take two items at no additional charge. Like a travel cot, a cart or a safety seat. If these do not fit on board, they will go down to the warehouse right at the boarding gate. If you travel with children under 5 years old you can embark before. The company recommends choosing seats in advance to ensure that all family members can sit together. If it is not done, the allocation system will do it automatically upon check-in. The cost to choose seat ranges from € 2.99 to € 27.99, depending on the area of the plane. There is the option of not being able to pay by making the easy Jet plus club, with an annual fee. On the website of the company, there is a section on “Flying with children or babies”, where we find tips to make our flight more comfortable. Thus easy Jet has packages of snacks for children, which come with puzzles and games to keep them entertained. In addition, they support mothers who breastfeed and can also bring food and milk for babies in the hand luggage. In all their fleet they have diapers changers in the front and back of the plane. 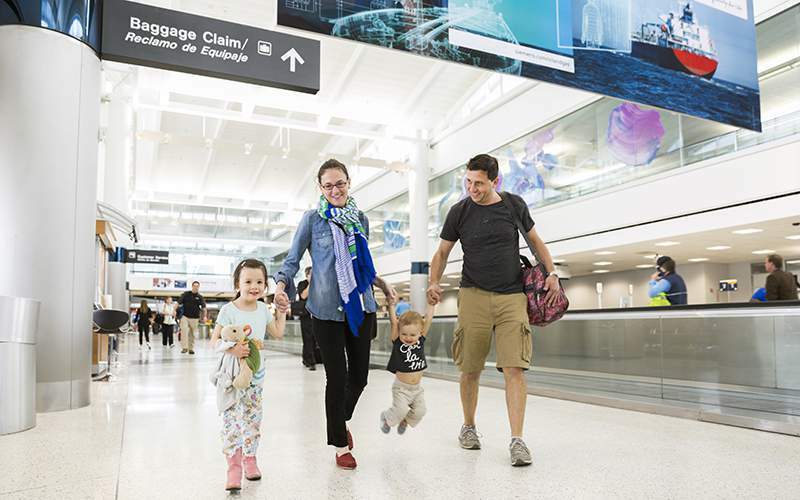 Dueling is becoming the preferred airline for many families. Here babies who sit on the lap of an adult only pay fees and charges. Children older than 2 years old already consider themselves older, so they pay an adult ticket. Each passenger with their own ticket can carry a carry-on bag, as well as a smaller bag or briefcase that must fit under the front seat. In billing, there is a differentiated counter for families with children. You can check in at no additional cost a total of 2 extra pieces (stroller, cuckoo or cradle). If we travel with babies, it is necessary to check-in at the airport so that they assign us an adequate seat for our needs. On Dueling aircraft, there are specific seats for adults traveling with babies, basically because they have 2 oxygen masks. In the case of children, just like adults, you can check-in online. Families traveling with children have preferential boarding. Once inside the plane, the inboard staff, always ready and attentive, gives some recommendations and delivers a special belt in addition to a children’s vest. Dueling has a great guide on its website with fun animations to prepare for the trip as a family. This explains each step in detail and gives interesting recommendations to parents. In your letter, they have an interesting offer designed especially for children. In the hand luggage, you can take the food that the child needs for the trip. The bathrooms of their aircraft have all changes. And during the flight, they do not offer any kind of entertainment, but on their website, you can download a First Flight Certificate so that the child always remembers this experience. Air France has baby cribs that also offer a case with a bib, a washcloth, a spoon, a first stage diaper, as well as wipes and a moisturizer. 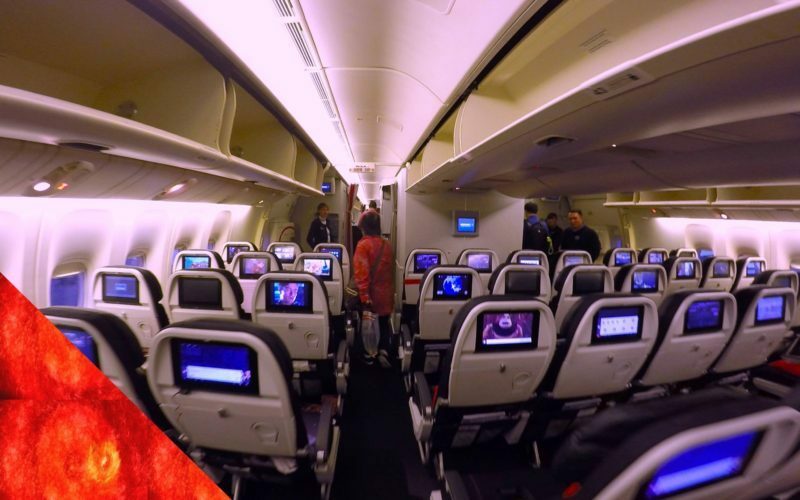 This airline does not have low-cost tickets but it does offer great solutions to families. Children under two years of age travel for free if they go in the lap of one of the parents on flights operating in France, and in international flights they have a discount. Although they do not occupy a seat, babies can upload up to 12 kilograms of hand luggage and if the rate includes it, they can check a suitcase. Older children, if the tariff allows, can benefit from a discount of 15% on domestic flights and 33% on international flights. Families always have preferential boarding. If you travel with children under 14, the company reserves seats for everyone free of charge no later than two days before the flight. In this way, it is intended that everyone can travel together, as much as possible. But if you are traveling with a child under 2 years of age, it is necessary to check-in or buys the option to choose a seat for 20 dollars each way by contacting the company after obtaining the ticket. Air France has recently devised a per-flight calendar kit that children and adults prepare their trip a few days before. It is only available in French for families traveling on long-haul flights departing from France. An introduction with which to discover all the possibilities of your Kids offer. As a special meal, a play case with a notebook and colored pencils, an AF Press online kiosk with children’s magazines, a label for your favorite stuffed animal, etc. There is also the possibility to download your app for children, to play with it during the flight. If you travel in Business class at the international airport of Paris-Charles DE Gaul there is a very cool room designed for children and teenagers. With PlayStation Vita consoles, board games, and children’s / youth magazines. Further, for long-haul flights, they also offer a meditation program specially designed to relax parents and children. On these flights, Air France has baby cribs that also offer a case with a bib, a washcloth, a spoon, a first-stage diaper, as well as wipes and a moisturizer. Be the first to comment on "The 5 best airlines to travel with children"